You and your customers depend on parts that meet your exact specifications – every time. 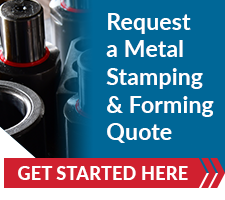 Our efficient metal stamping services produce the parts that your applications require. We rely on our regimented processes, engineering expertise, extensive tool-and-die experience and proprietary production to guarantee every part you receive is 100% what you need. Allow us to leverage our expertise to produce your metal stamped parts. When you need reliability and on-time delivery, we can produce your parts and provide the long-term support you need. Customers Choose Us Time and Time Again for Their Short Run Metal Stamping Needs. The experienced team at Neway can ensure your project is successful – without a doubt.